Twentebelt creates high quality metal conveyor belts that combine effectiveness with great efficiency! Twentebelt has manufactured metal conveyor belts for over 100 years and continues to satisfy clients across the globe by providing reliable and durable products of the highest quality. With the experience and extensive knowledge of our sales and engineering team, Twentebelt is capable of assisting clients in creating the optimal belt for their application. Twentebelt delivers superiour products and services to industry leaders all across the globe. They depend on our service and reliability and we take great pride in that. By continuously improving our service by training colleagues, investing in state of the art machinery and innovating the industry, Twentebelt continues to add a valuable contribution to the world of metal conveyor belts like it has for over 100 years. 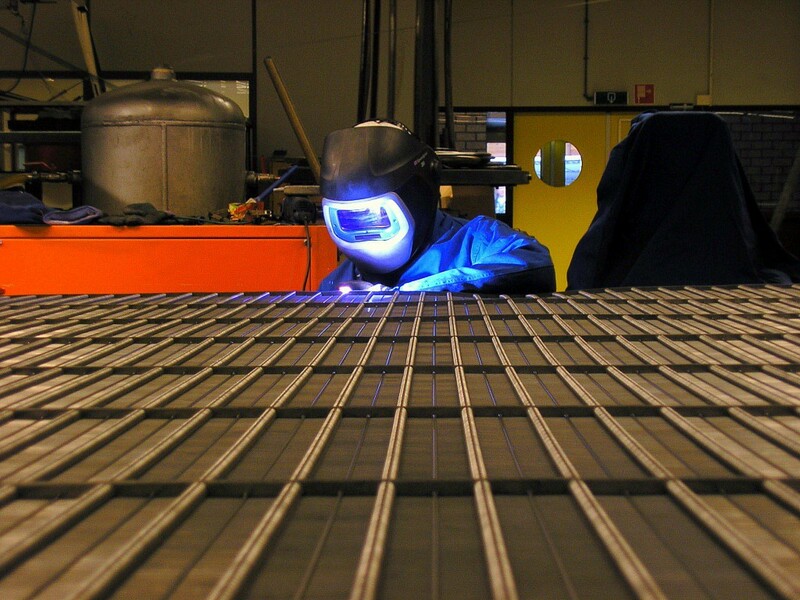 Twentebelt has production facilities in The Netherlands and Poland. As Twentebelt is involved in every aspect of the process of delivering metal conveyor belts — from advising customers to designing the optimal conveyor belt for their application — maintaining a hands-on approach allows us to deliver high and consistent levels of service and quality throughout. With a full range of state of the art machines Twentebelt is able to create and manufacture all metal conveyor belts. As Twentebelt chooses its machinery based on the clients’ specific belt configuration, an optimal production process is guaranteed every single time. This allows us to deliver high quality conveyor belts fast and against competitive prices. Twentebelt strives to consistently deliver high quality products and services to all of its clients. By producing in accordance with manufacturing standards such as EC 2004/1935, Twentebelt has a way of professionally tracking its manufacturing process. This is just one of the steps Twentebelt takes to ensure that all of our metal conveyor belts will perform reliably. Do you want to learn more about Twentebelt’s production? E-mail: sales@twentebelt.com or use the contact form below.